Boston-based Samuels & Associates, the real estate development firm that made its name transforming much of the city’s Fenway neighborhood into a mixed-use mecca, is setting its sights on another neighborhood: Southie. Samuels is partnering with Core Investments Inc. to develop Washington Village, a $400 million, eight-building mixed-use development near South Boston’s Andrew Square. 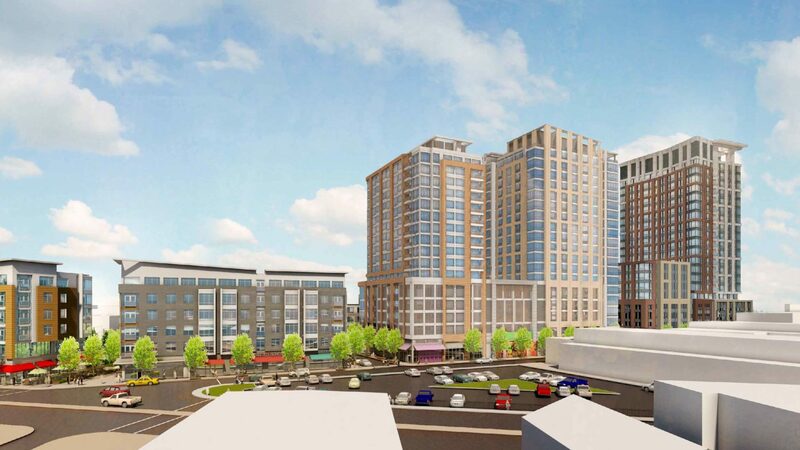 The project will include a 656 housing units and 100,000 square feet of retail, with buildings ranging in height from three to 21 stories, on a 5-acre site bounded by Damrell Street, Old Colony Avenue and Dorchester Street. Core Investment’s David Pogorelc pitched the five-acre, mixed-use development to the South Boston neighborhood in early 2015, and the erstwhile Boston Redevelopment Authority approved the project roughly 15 months later. While some site clearing work has begun, the project has struggled to get off the ground.